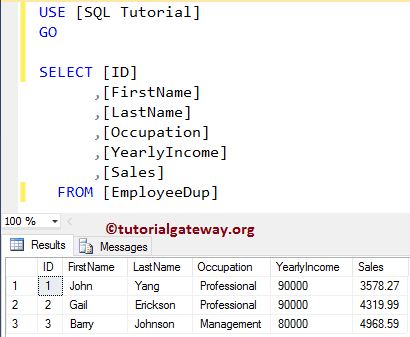 Next, write down the following query to check whether we inserted the records or not. 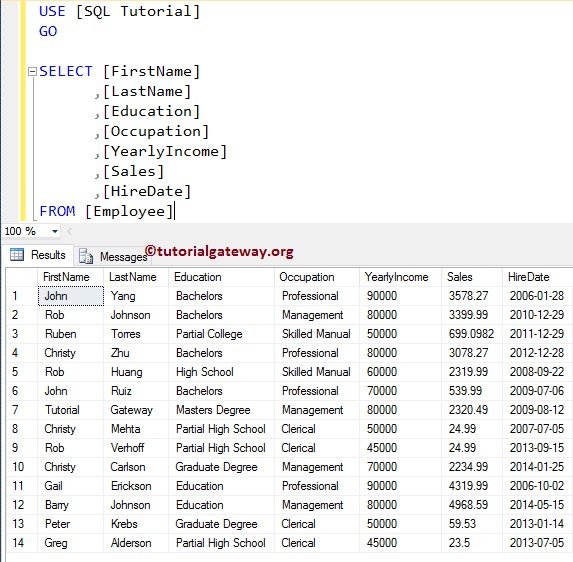 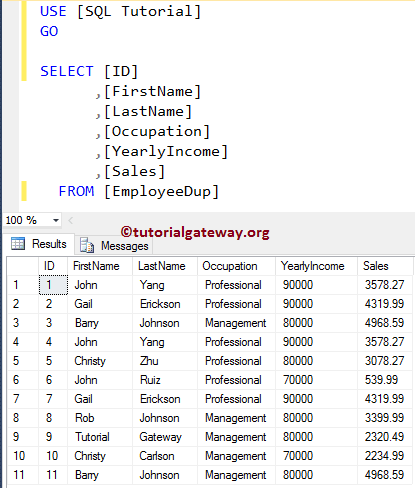 In this example we will show you, How to use the WHERE Clause, along with the INSERT INTO SELECT Statement inside the Stored procedure. 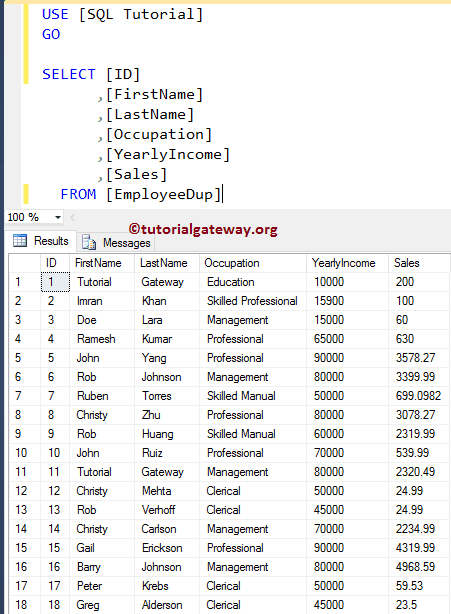 From the below code snippet you can see that, the procedure should inset all the records from Employee to EmployeeDum whose Sales amount is greater than 3400. 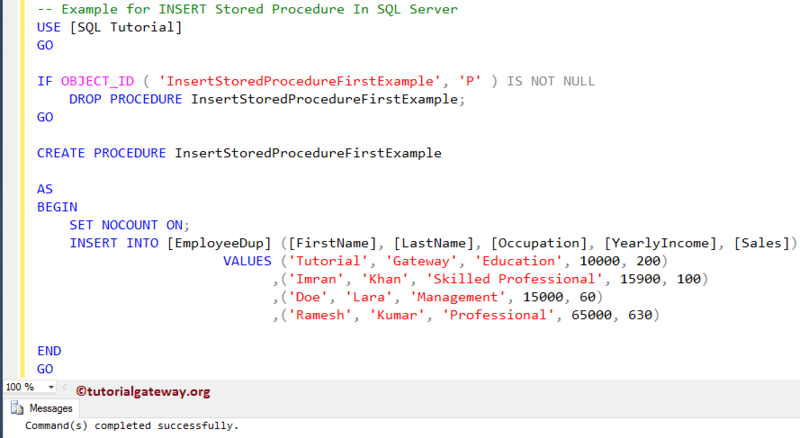 In this example we will show you, How to create the Insert Stored procedures with parameters. 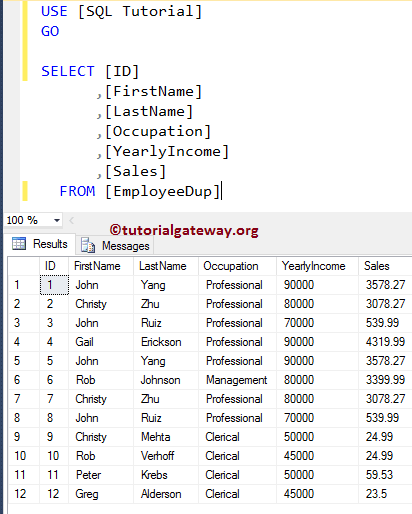 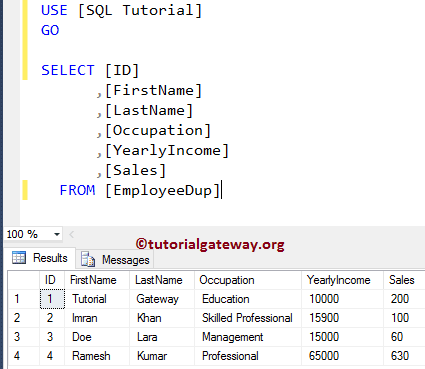 In this example, we will use the Multiple parameters along with the Insert statement inside the stored procedure. 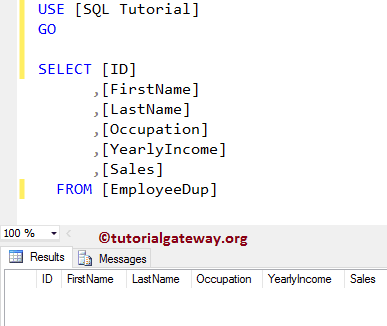 Use the below shown query to check the inserted result.